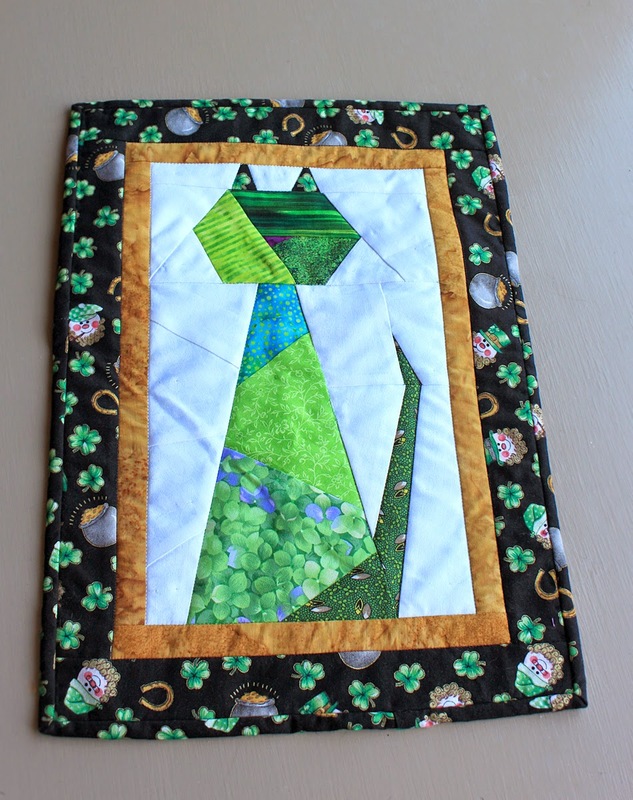 My St. Patrick's mini-quilt is done and ready to be hung - and it's still only the first week of March! 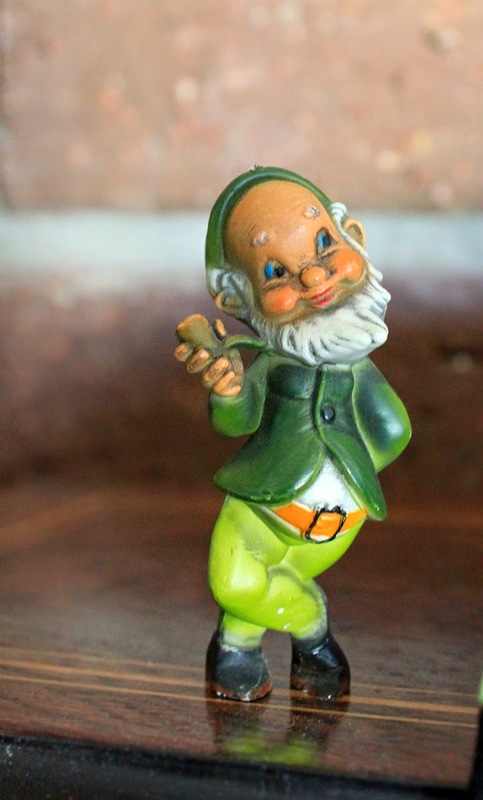 It's a mini-miracle; I finished a project before the it's-too-late date. This was a paper-piecing class I took at Quilt Ventura. 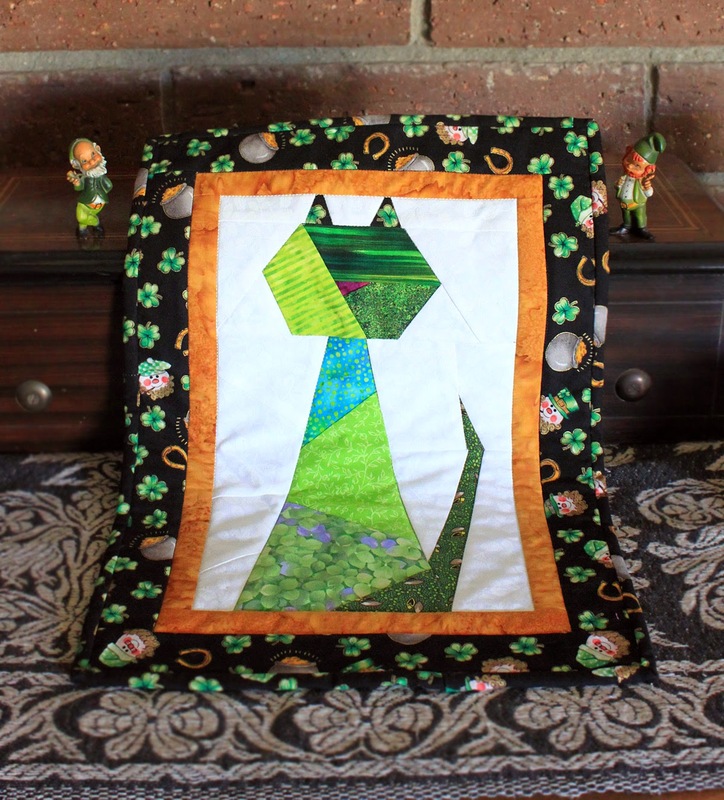 The Scrappy Cats pattern was meant to be a quilt or long wall-hanging, but I knew I wanted a single cat in pink for Valentine's Day (still working on that one . . . . ) and another in green to honor St. Pat. 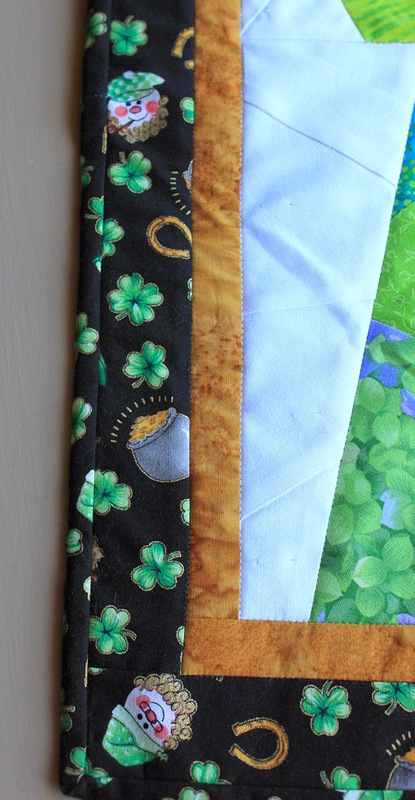 My pal Debbie gave me the border fabric, something she had leftover from another project, and I chose the other fabrics around that. I love the little horseshoes and pots-of-gold. The quilting on this is minimal. Since it's a wall-hanging, and (in theory) will seldom be laundered, I wasn't too worried about the batting shifting around. Sloooooow and steady stitch-in-the-ditch was about all I did before attaching the binding and sleeve by hand. 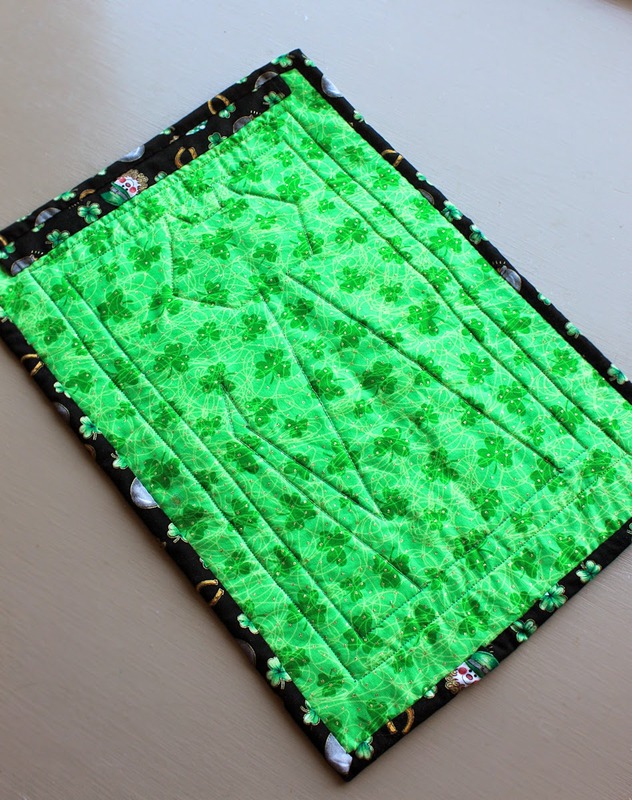 My goal is to make 12 seasonal mini-quilts that we can use for decoration, one each month. I have a couple designed in my head and a couple partially done in the UFO Challenge bin. I may not get all twelve finished this year, but I'm going to have fun trying.